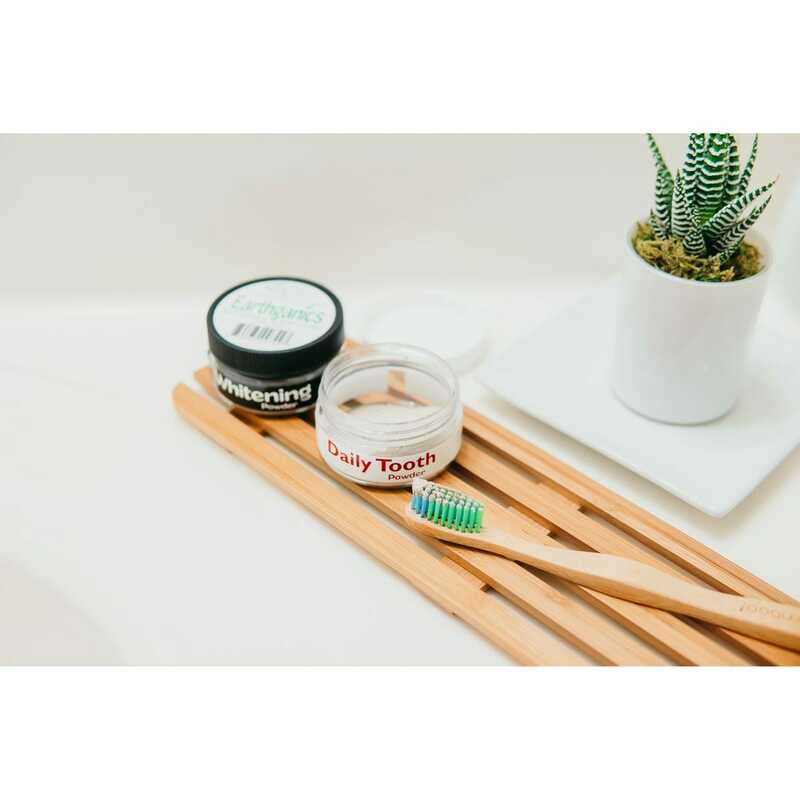 Daily Dental Kit replaces your oral routine. Each .6 oz. powder container will last a person around 3-4 months. This is a healthy replacement option to use instead of fluoride toothpaste which is known to have chemicals. Each kit will include a tooth powder and whitening powder. 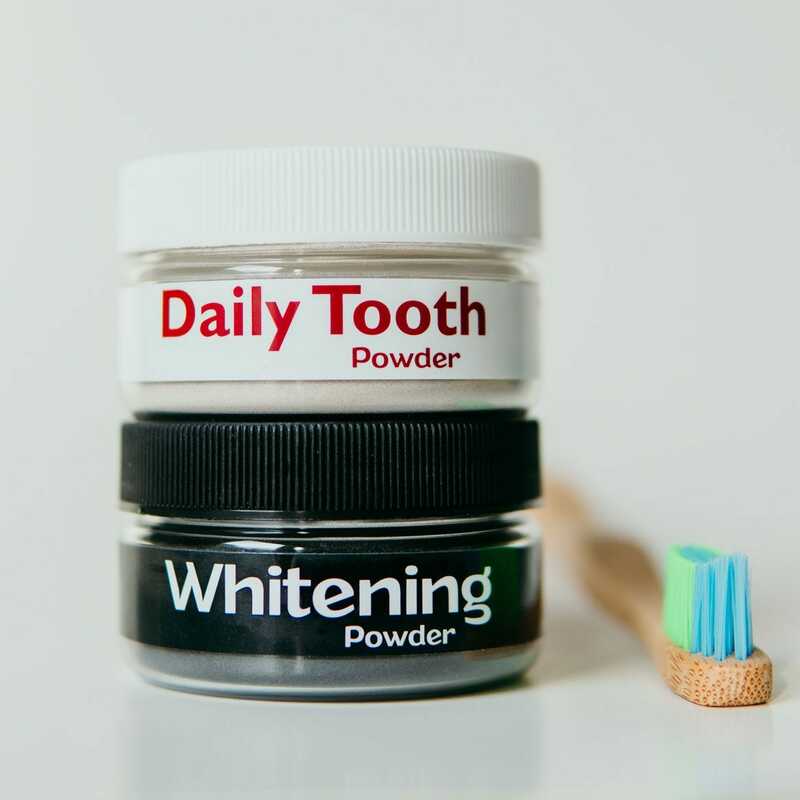 Daily Tooth Powder uses a combination of vitamins and minerals that play a role in overall oral health with healthy, natural and effective ingredients. 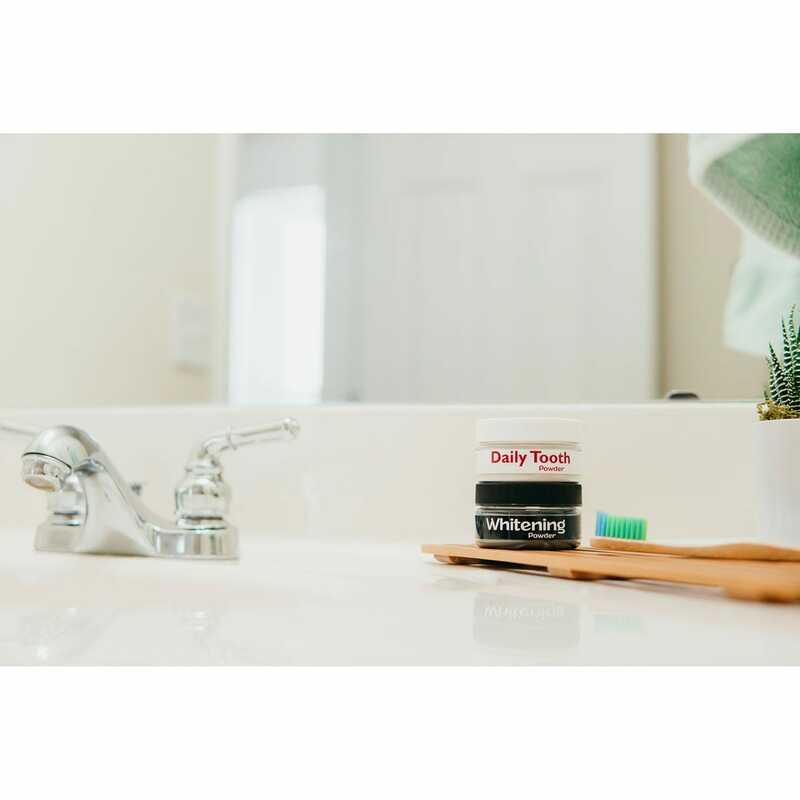 Whitening Powder is a natural solution that will help whiten your teeth from tea, coffee or soda. The ingredients will help strengthen your jaw bones and teeth, whiten, and replace toxins with healthy minerals. 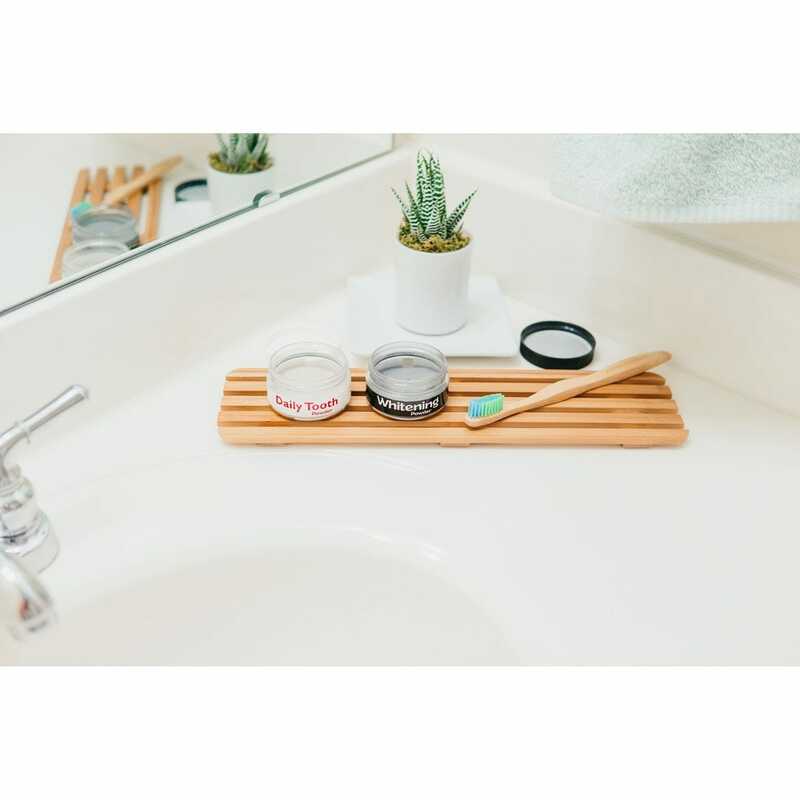 Simply wet your toothbrush, dip it in the powder and brush. The texture of the powder will keep your teeth feeling polished all day.